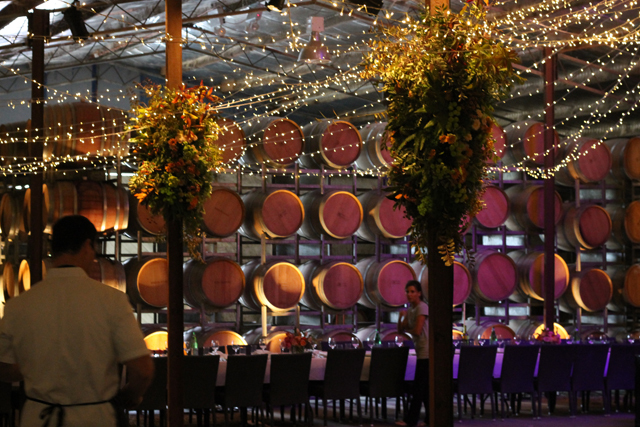 Hanging pillar gardens for a recent dinner at Bird in Hand Winery in the Adelaide Hills, to celebrate the winery's luxury accessories range. The barrell hall there is amazing, and vast, calling for extravagant florals on a large scale. 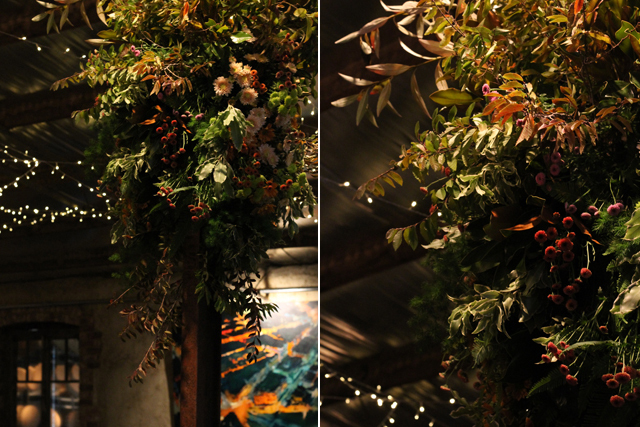 We used a cascading selection of Autumn foliage and ferns studded with flowers in earthy tones of copper, rust and apricot.